With that being said, here's another Etsy Shop review! I came across Sandra's Etsy shop while looking for a new lanyard to wear my ID badge on as I actually like to co-ordinate my lanyard with outfits. I wanted a great quality neon pink one and Sangems stood out to me. So, here it is! 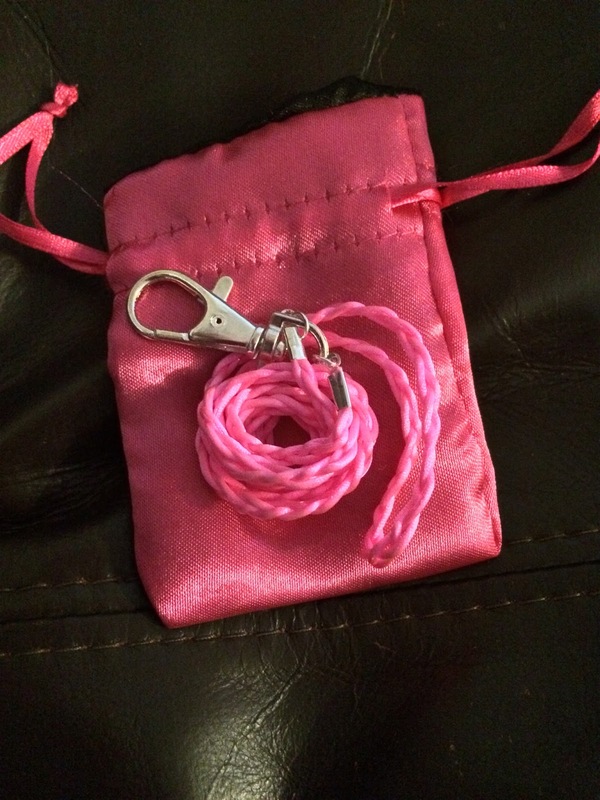 This is the satin pink lanyard in neon pink - and I absolutely love it. I'm super pleased with the quality of this lanyard and I will enjoy wearing it to work. The colour is so beautiful and it came packaged in this cute pink silky bag. Sandra is so lovely too and communicates really efficiently which is great. I totally recommend that you check her shop out if you're looking for some great quality handmade jewellery.